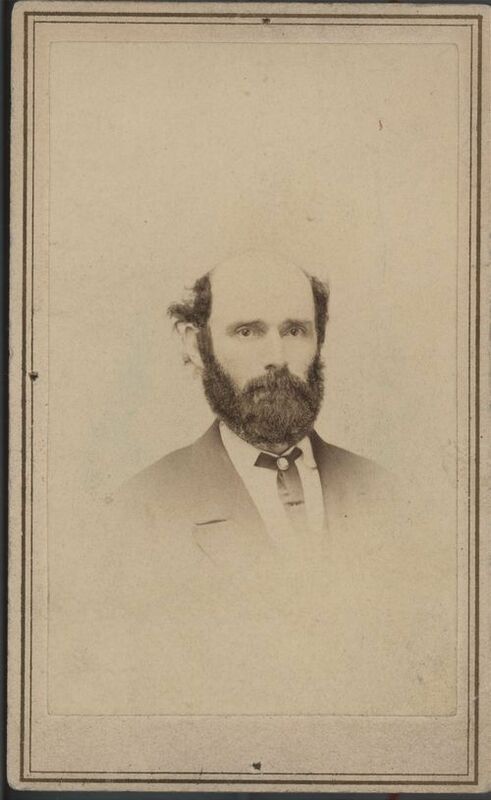 Cyrus Kurtz Holliday a Kansas pioneer and businessman. He came to the Kansas Territory as an agent for the New England Aid Company. In December of 1854, he helped organize the Topeka Town Association and took an active role in founding and settlingTopeka. He served in both the territorial and state legislatures and was a delegate to the Topeka Constitutional Convention. His most notable venture, was the construction of the Atchison, Topeka and Santa Fe Railroad. Holliday served as president and director of the ATSF from 1860 to1863. He stepped down as president in 1863, but remained on the board until his death in 1900.